A medium size open space with interesting mounds and natural features. An open access play space designed for ages 2-16. 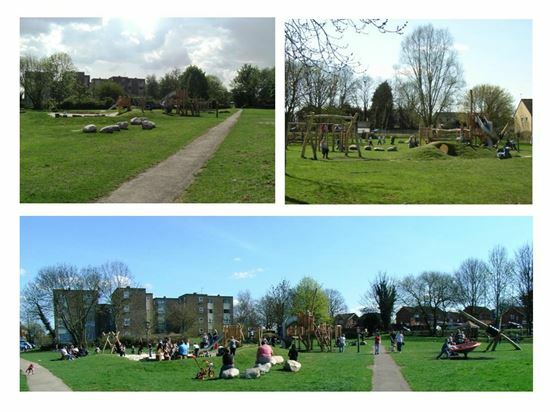 An interesting play space with strong connections to the natural environment providing a diverse range of play experience. Hard surfaced paths run through the park from Carr Close, Carlton Close and the Bicester Road. Occasionally sites may be subject to misuse or acts of vandalism, which can result in damaged play equipment, graffiti, broken glass or other such issues. In the event that you find a problem at one of our play space’s please report it.